BasicSafe’s safety audit management software aids internal auditors in identifying problems and hazards that put your workplace at risk. Our secure Web-based system enables you to store your audit instructions and previous audits, develop new audits and provide supporting documentation in one central location that team members across your organization can access easily. 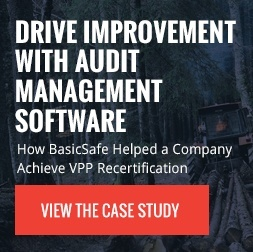 Perform your audits right in the BasicSafe system for easy access and visibility. The audit management software streamlines audit components to reduce the risk of fines, penalties and injuries.